With its miles of glorious beaches, idyllic year-round weather and a myriad of cultural and historical attractions, San Diego is one of the most visited cities in the world. If you’re on the fence about where to vacation, here are some of the top reasons to choose San Diego. San Diego’s magnificent weather means that you can enjoy the outdoors all year round. The average temperature on any given day of the year is around 70˚, meaning it never gets too hot and it never gets too cold. So exploring all of the city’s natural beauty is easy and comfortable. San Diego is home to some of the most beautiful beaches in the country. There are 70 miles of shoreline and a diverse selection of beaches to explore. If you like surfing, you’ll be in heaven; if you prefer getting lost in your thoughts on a secluded sandy stretch, you’ll also be in heaven. 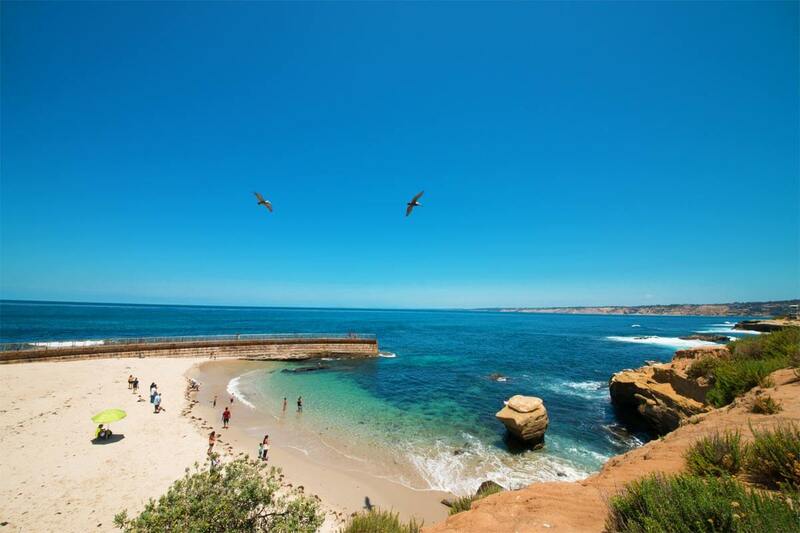 From La Jolla and Mission to Coronado and Pacific Beach, there’s a beach for you in San Diego. The first settlers to San Diego came from Mexico and Spain and established the first mission and fort in 1769. It was about a 100 years later that the city became a part of the United States and that California was granted statehood. It’s these facts that make San Diego the Birthplace of California and why so many historic buildings and sites intrigue visitors everyday. 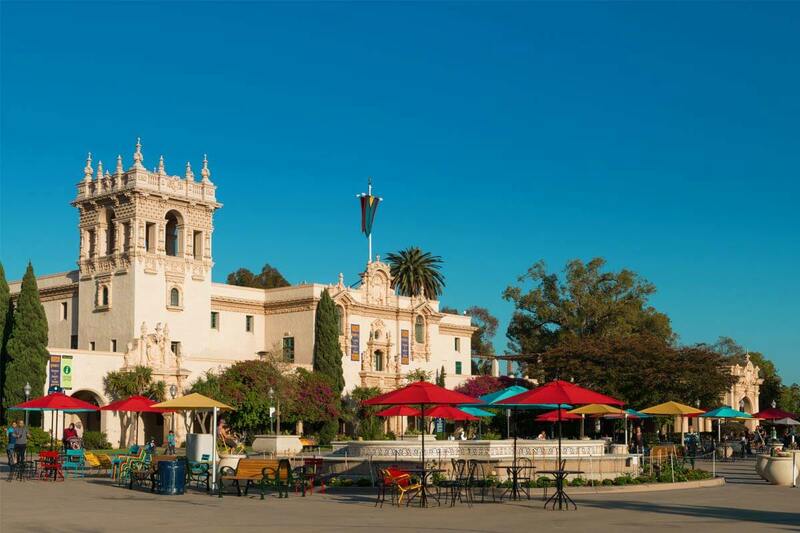 Visit Old Town State Park, El Prado in Balboa Park, Presidio Park and the Gaslamp Quarter to see numerous ancient structures that help tell the story of San Diego’s fascinating history. 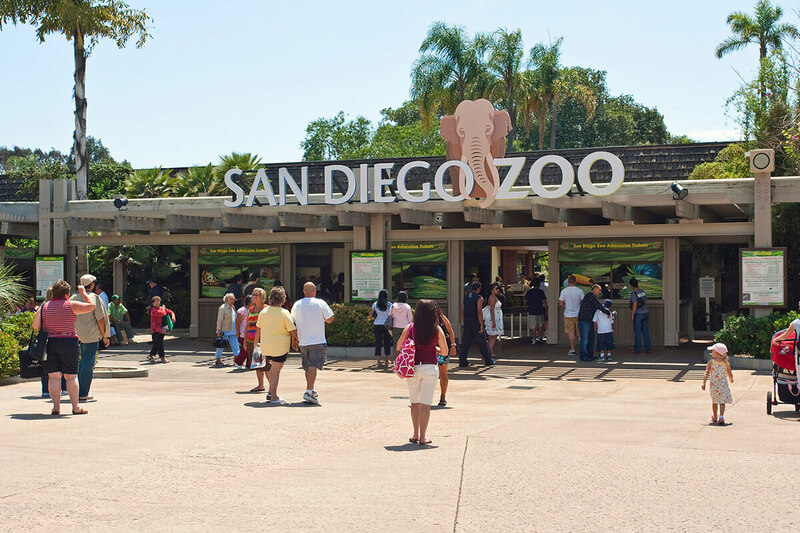 Not just any zoo, the San Diego Zoo is known worldwide for its array of rare and endangered animal species. There are nearly 4,000 animals living at the zoo including gorillas, sun bears, polar bears, leopards, giant tortoises, koalas, elephants, mandrills, birds of paradise, zebras and more. Explore the 100 acres that are home to more than 650 animal species and 700,000 exotic plants. 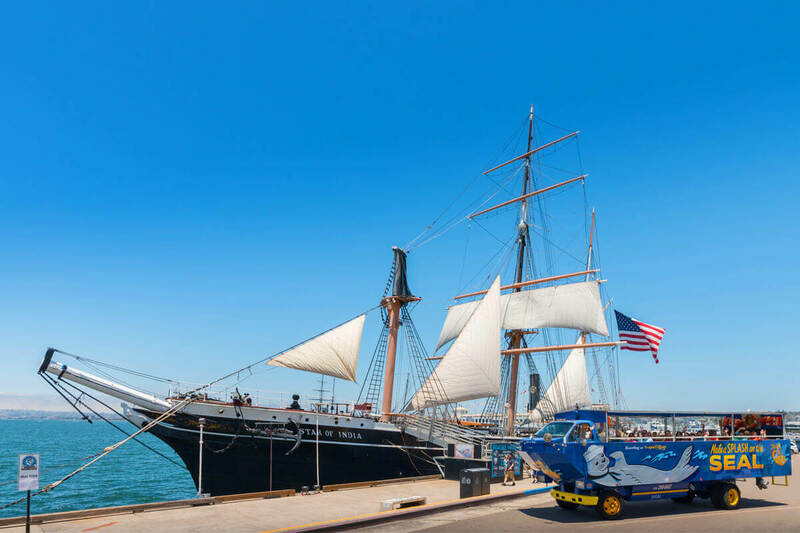 The world’s oldest active sailing ship, the Star of India was built in 1863 and is on display at San Diego’s Maritime Museum. Guests can explore the decks of this historic ship, learn about her important role in the maritime history of the United States and even witness her sailing once a year. The museum is also home to a variety of permanent and temporary exhibits and a collection of ancient ships. Mere miles away from Mexico, San Diego serves up some of the country’s most sought after Mexican cuisine at a host of restaurants. But the culinary delights don’t stop there. The city is known for its eclectic assortment of great eateries, from hearty American favorites like burgers and fries to sushi, seafood, Italian, French, farm to table and much more. Whether looking for traditional or a modern take on legendary favorites, it’s not an exaggeration to say that you’ll never run out of new restaurants to try while visiting the city. Like most big cities, San Diego has an assortment of exceptional shopping venues to indulge your retail cravings. From the scenic Seaport Village to Horton Plaza and the Gaslamp Quarter, you can find anything you’d ever wished for in San Diego. Browse antique stores, boutiques, major retail chains and local shops for clothing, collectibles, souvenirs and pretty much everything in between. They’re chubby and lazy and seem to simply lounge around all day long soaking up the sun. Everyone who visits San Diego wants to catch a glimpse of these adorable creatures lying on the beach and it’s a relatively easy mission to complete. The seals that inhabit the San Diego shores have no worries and no photo inhibitions, so feel free to watch them doing what they do and take a few pictures for your friends back home. 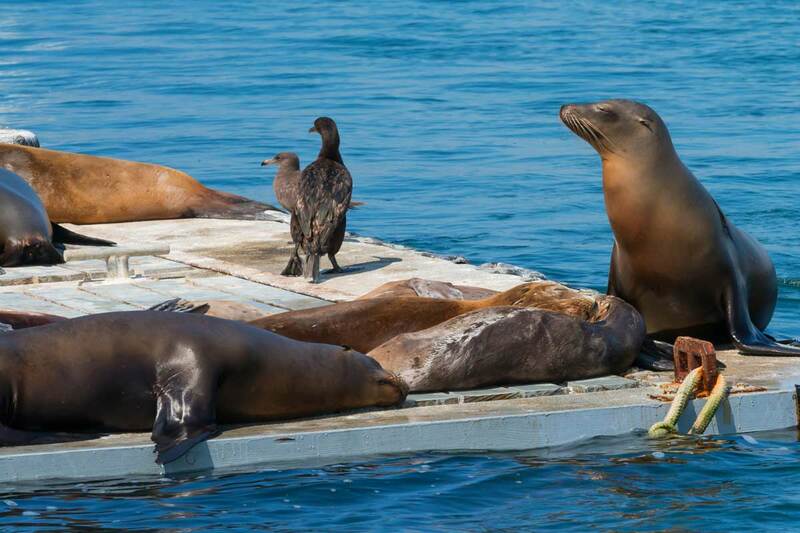 Check out the San Diego SEAL Tour for a 90-minute, fully narrated tour of San Diego neighborhoods and the Big Bay. The World’s Best Ballpark, Petco Park, offers stunning views of the San Diego Bay and some of the best amenities offered at a baseball venue. It’s known for its open-air design and unique architecture elements. 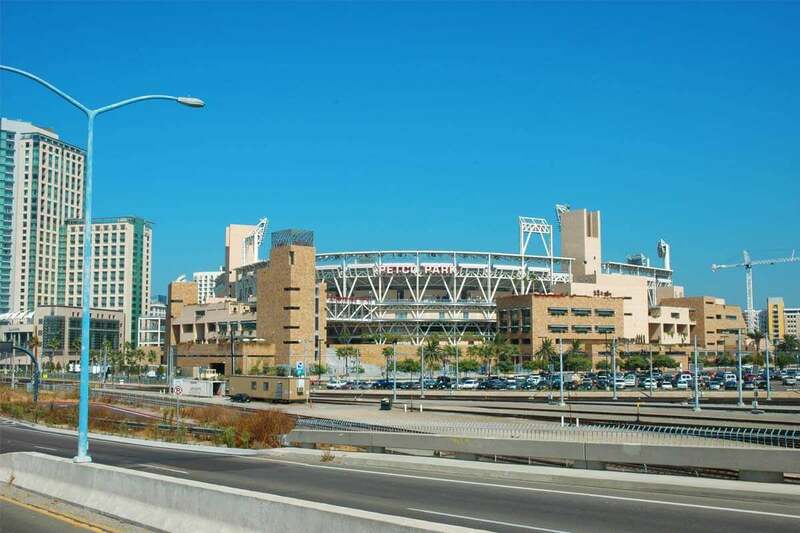 The park, home to the San Diego Padres, the city’s Major League Baseball Team, also hosts a variety of other events including concerts, performances, and private celebrations. Tours are available during non-game times and provide guests an inside look at some of the park’s areas that are normally off-limits. 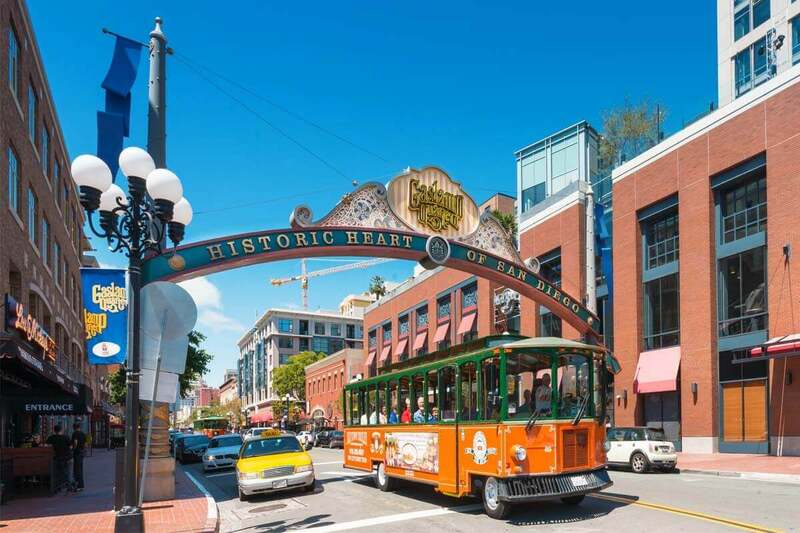 The Old Town Trolley Tour has been entertaining guests to San Diego for more than 30 years. 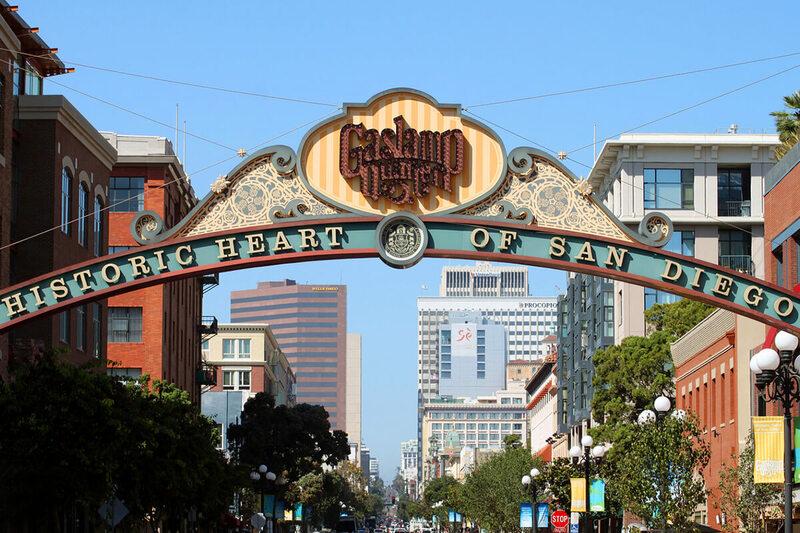 A lighthearted journey through history, the tour transports you to more than 100 points of interest (including all the biggies like Balboa Park, Gaslamp Quarter and Old Town) and allows you to hop-on and hop-off as much as you want. The conductor onboard shares fascinating stories and anecdotes, making the tour even that more amusing and interesting.